siblings is still the main focus of a family, but now we have non-traditional families as well. A family theme provides preschoolers with a basic knowledge of how families work and how they are different. When students get the opportunity to participate in class discussions about families they will gain knowledge on how each type works and is unique. When planning a family theme provide a variety of ideas to capture the essence of its importance. Choose crafts, activities, games and books to show your students the significance of this concept. Structuring this theme around Mother's Day, Father's Day or Grandparent's Day will also enhance any lesson. Are you looking for some fun ways to teach your preschoolers about families? Learn about ideas you can do during morning group time and learning centers that will provide your students with a lot of enjoyment. You will also learn about how to create a classroom that resembles a family like environment and ways to get the family involved. Circle time is a perfect opportunity to interact with students and provide them with valuable information about families through fun activities. Learn how to use books, music and conversation to increase student learning on this important concept. Are you planning a family theme this month? Try these fun preschool family crafts to help enhance your lessons. Learn how to make a family portrait, class mural and much more. Get ideas on how to compare and contrast families with a special "teacher notes" section. Teach your preschoolers about where they came from with this fun activity. Learn about which books are the best to use, and creative extension ideas that will provide students with a better understanding of their heritage. Learn how your preschoolers can create memorable family keepsakes with a little imagination and creativity. Acquire a few simple ideas on how a photograph can be transformed into a fabulous gift for a family member. To help your preschoolers better understand and learn about their families, learn how to make a family mobile craft and how to emphasize how each family is unique in their own way. Gain knowledge on how to assess and extend this family lesson with a drawing and a family tree. Looking for some uncomplicated family-themed crafts for your preschoolers? Learn how to make a family collage, memory tree, T-shirt and banner that are easy and can be a great keepsake for grandma and grandpa. Discover how to help honor the special relationship between grandparents and their grandchildren with fun, unique activities. Learn about a special song, craft and a variety of books that are great ways to celebrate Grandparents day. Every grandparent loves and expects a homemade gift from their grandchild at some point. Learn how to make a magical flower vase and memorable photo frame your preschoolers' grandparents will be honored to display. Looking for additional ways to celebrate Mother's Day? Discover games and activities that will help honor your preschoolers' mothers while they each learn how to appreciate their mother as well. Are you looking for a book to use as an inspiration for Mother's Day? Five Minutes Peace by Jill Murphy is a perfect story to use during a family theme or Mother's Day celebration. Learn about activities, songs and crafts that will engage your preschoolers. Father's Day is a time for celebrating and honoring your preschoolers' dads. Learn how to create a memorable celebration with a craft, bulletin board and keepsake. Each father will be honored to display this adorable craft. Discover a whole theme dedicated to celebrating the love your preschoolers have for their fathers. Learn how to make crafts, play interactive games and create a memorable keepsake while learning about the importance of family. 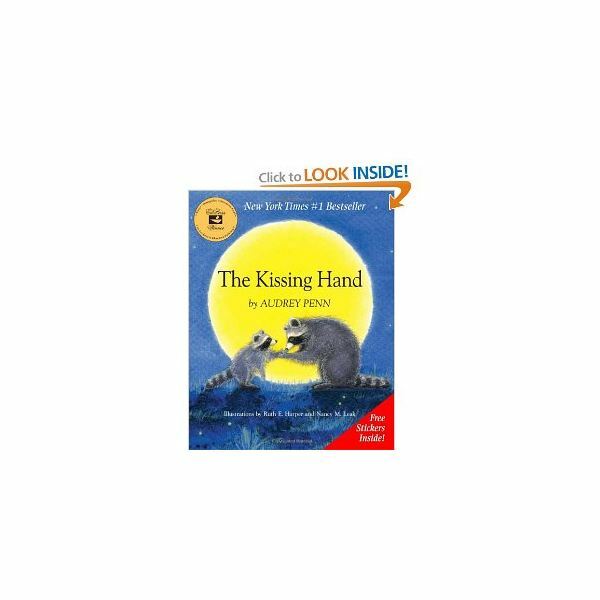 The Kissing Hand by Audrey Penn is a wonderful book to use when talking about a family theme. This story tells the tale of a mother's love for her son. Learn about activities that will help ease student separation anxiety from their parents. The Ballad of Little Joe is the perfect story to teach preschoolers about the importance of family and siblings. Learn how the Veggie Tales version will keep your students engaged while learning important concepts on family values. Discover pre-reading discussions and activities and other important key concepts from the story. Learning about the importance of family through creative activities and lessons will only engage the students in their own learning even more. When teaching a family unit or theme, remember to always stress that every family is unique and different in their own special way. Do you have a question or comment? Please feel free to leave a suggestion in the comment section below.